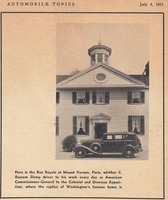 This was posted on the AACA forum. At first I thought it was John's car but the poster took the pictures last year at a show in Alberta Canada. Is it a known car? Beautiful car. Not known to me. 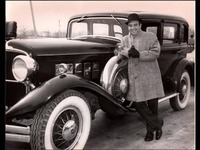 Could it be the incredibly low mileage and original car of Joe A.? It seems to be a great car! I spoke to Joe A and this picture is his car . It was taken 12 miles from his home at a Car Show . Thanks for the confirmation, Mark! That is a gorgeous car, and being the great original it is, it would be unvaluable to get detailed pics of things like engine compartment, dashboard, etc. Do you think you could ever get Joe to take some detailed pics of his car and share them with us? From what I can understand Joe sent John P a few pictures showing all sides of the car . Maybe John could get them scanned and posted on the Forum . I do not have any pictures as of yet . My friend from Ohio gave me this picture taken in 1966. Anyone know which one it is? The car looks solid . I too wonder where it went . Since we are not talking about coachbuilt cars but regular production ones, telling one appart from the other is really very difficult, particularly if the car was painted and it's aspect changed. Some may have some particular alteration or accesory that may help tell them appart. And perhaps it is the car at the CCCA regional magazine to which you supplied the link, which shows the same lights but interestly does show the sidemount covers that is not shown in the color pic you posted... though a couple of details may proove me wrong: the chromed shutters in the radiator of the color pic, the lack of hubcap emblems in the magazine's pic, and the license plate in a different place... mmmm... so I really have no idea. 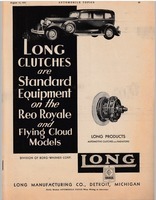 "1966 CCCA regional magazine with 8-32 Sedan on the cover. 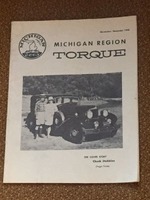 www.ebay.com/itm/Nov-Dec-1966-Torque-Magazine-Michigan-Classic-Car-Club-of-America-CCCA-/111851545375"
Agreed Victor that it is tough trying to reconcile which car is which over the years when they all started identical except for paint. The accessory lights are typically "Trippe" lights which in period were intended for auxiliary lighting on emergency vehicles. The have become de-rigueur on any white wall laden Classic these days. 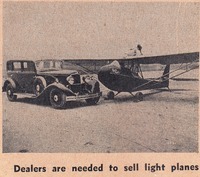 From July 1931 Automobile Topics. Very interesting pics, particularly the one with the plane! Reminds me of articles I read praising the "aerodynamic" design the Reo had. Thanks for posting them, A.J.! An ad and a picture of a Royale police car.